Ever wondered why your bounce house looked like it was bulging out in one section of the floor? Odds are you have a torn baffle. 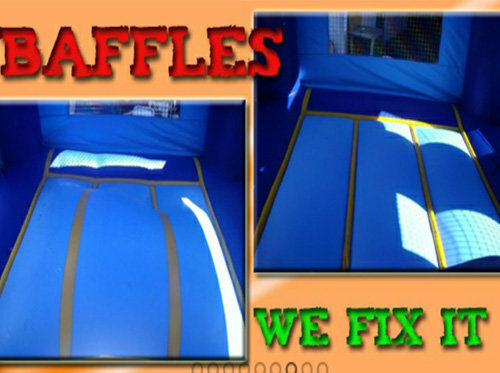 We specialize in repairing baffles on all kinds of inflatables. Give us a call for a free estimate.